A neighbor of my auntie helped me purchase my new (used) car. I wanted to give him a quick thank you as he saved me tons of time. Plus, the car's nice too. Here's what I came up with. 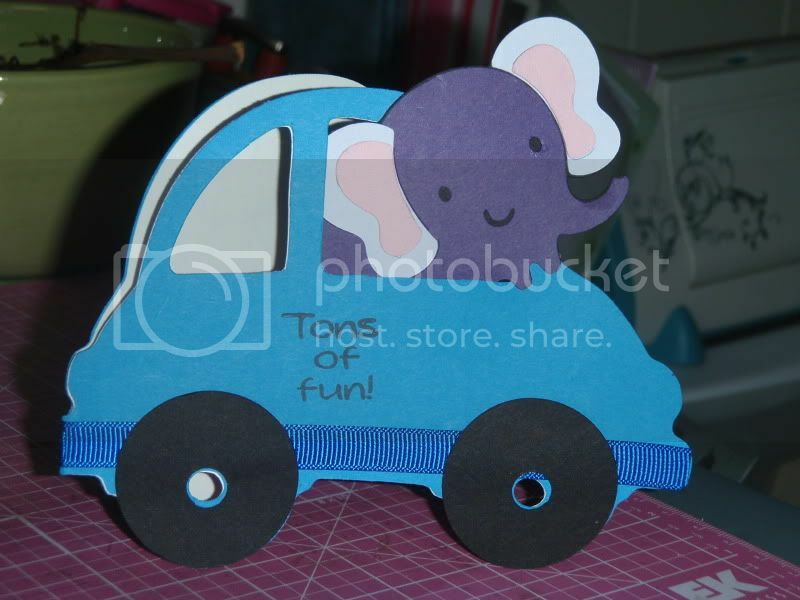 I used a sentiment from My Pink Stamper's More Punnylicious stamp set, Everyday Paper Dolls (car), and Create a Critter (elephant). My Gypsy welded two cars together to form the card base and I used my Xyron to neatly adhere a white lining. I'll get back in the swing of printing the specific card recipe sometime soon, but for now I just wanted to quickly show what I'd made. Thanks for visiting!